I write News and post Insights for and about Indie Authors, Indie Books, Writer's Resources and Tips @ Indie Author News. 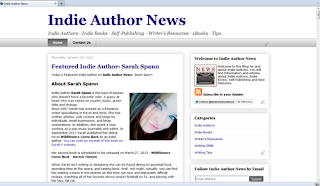 Indie Author News features Indie Authors and posts Interviews with Indie Authors. © 2012 Alan Kealey. Simple theme. Powered by Blogger.